MAGGIE MAE DESIGNS® specializes in show-stopping women's hats for the Kentucky Derby, the Kentucky Oaks, the Preakness and the Belmont! This season's “Comin' Up Roses” Derby Hat Collection features fancy Derby hats for sale, individually handcrafted to match your outfit and sized to fit you well. 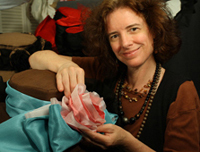 Couture milliner Sally Faith Steinmann will work with you to create a hat that will match not only your outfit but your own personal style as well. 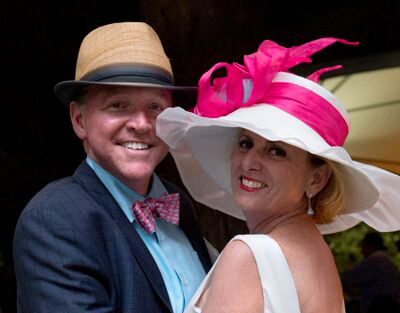 Please visit our four Derby hat salons featuring everything from fascinators to extra wide brims in assorted colors and fabrics. If you do not see the hat that you need, please email Sally with your ideas! 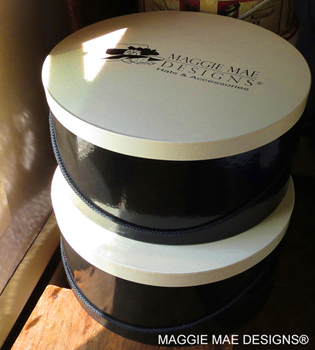 Experience the pleasure of that first Saturday in May... in your new chapeau from MAGGIE MAE DESIGNS®! 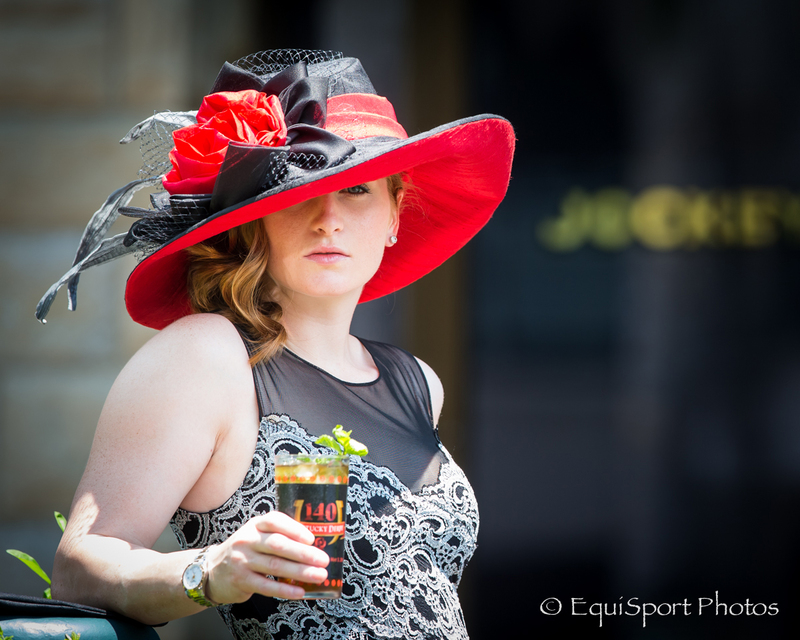 Please visit our newly updated Derby Hats Gallery! 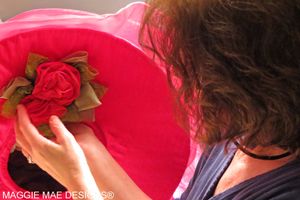 Click on the photo above to learn step by step about the process of ordering a custom Derby hat created by couture milliner, Sally Faith Steinmann! How to Throw Your Own Derby Party - If you are unable to attend the Derby in person but don't want to miss out on all the fun, why not host your own Derby Party for the first Saturday in May? Please visit this new page at maggiemae.com for all sorts of creative decorating, refreshment and invitation ideas! Custom women's hats for the Kentucky Derby. "Hats Off to the Horses: The Road to the Derby"
Season 10 of “Hats Off to the Horses” has now ended. Thank you to everyone who supported our efforts, and we look forward to sharing news about Season 11 that kicks off on January 1, 2020!! 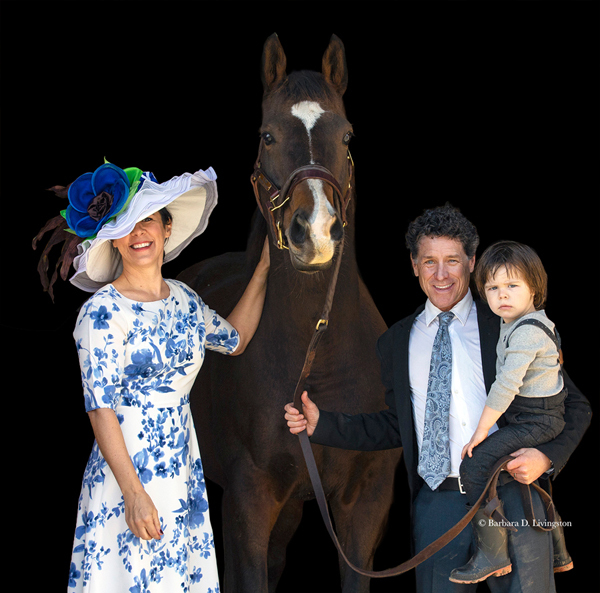 Please click on the photo above to learn more about this exclusive Derby hat fundraiser to benefit Old Friends Thoroughbred Retirement!